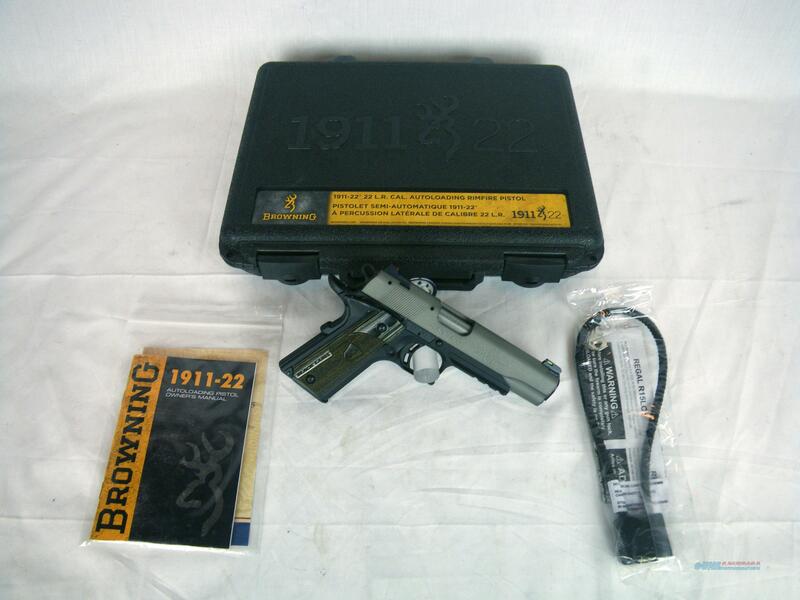 Description: You are bidding on a new Browning 1911-22 Black Label Gray Full Size with Rail in 22lr with a 4-1/4" barrel. This is a Black Label style rimfire 85% scale 1911 pistol with gray anodized finish and black/gray wood laminate machine-textured grips - fiber optic sights and 1913 Picatinny rail on the frame. Black Label design - beavertail grip safety, extended ambidextrous frame safety, skeletonized hammer and trigger, lightweight high strength composite frame with 7075 aluminum subframe and slide rails. Displayed images are stock photos. Any questions please feel free to ask (our phone number is in the additional information tab above).